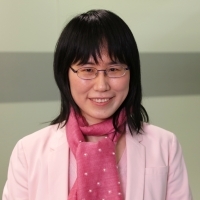 Dr. Lu serves as the manager for the extractables and leachables (E&L) team at the SGS Fairfield New Jersey facility as well as the global leader amongst the three centers of excellence for E&L testing. Before joining SGS, she worked at Fresenius Kabi, leading E&L projects to support transfusion and infusion medical device and parenteral products. She has extensive pharmaceutical industry experience with more than 300 E&L projects on a broad range of packaging systems, including process materials, pharmaceutical finished packaging, and medical device. As a well-recognized E&L subject matter expert in the field, she is frequently presenting at various conferences as invited speakers and technical session chairs. She holds her PhD in analytical chemistry from the University of Pittsburgh with more than 10 years of experience in pharmaceutical analysis.